Due to limited budgets, we too often don't hear about outstanding books published by small presses. Small presses can't afford to send their books out for review, so they're not reviewed in the major journals. Stories for a Winter's Night: Fiction by Native American Writers is one of those books. Published by White Pine Press in Buffalo, NY, it came out in 2000. In 2001, Skipping Stones included it on their 2001 list of Honor Award books. I learned of it, I think, through Richard Van Camp. In all 37 stories and poems, by 36 different Native writers. Some you know, some you don't, some you should. The collection is wide-ranging in scope. There's a boarding school story, a traditional story... Stories about children, and animals. By living writers, and some who've passed on, this book will be terrific in a high school English lit class. The stories will generate much discussion. I'll include one below, as a sample. Here is a list of each story/poem and its author. And, the intro is by esteemed scholar of Native literatures, A. LaVonne Brown Ruoff. to appropriate a culture by wearing its artifacts. and made the whole world seem out of balance. aware how often revelation is impossible to explain. The president of the American Library Association is Loriene Roy. She is Anishinabe (Ojibwe/Chippewa), and has done a lot of excellent work with Native children through her "If I Can Read, I Can Do Anything" program. 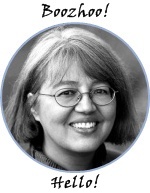 She is a long-term member of the American Indian Library Association. Loriene was on NPR recently, talking about multicultural literature. Click here to listen to the interview. She talked about Baby's First Laugh, by Beverly Blacksheep, one of the board books discussed on this blog last summer (Tuesday, July 18, 2006). And, keep up with Loriene by visiting her blog, "Pin-ding-u-daud-ewin" which means "to enter into one another's lodges" or her website. If you know Thomas King's A Coyote Columbus Story, you might be interested in listening to him on line. They'd work well in a senior high school lit class. Listen to the segment on line, but read his novels, too, and his most recent book, The Truth About Stories: A Native Narrative. All are available from the non-profit organization, Oyate. Some years ago, King had a radio program called Dead Dog Cafe. Get them, too, from Oyate. 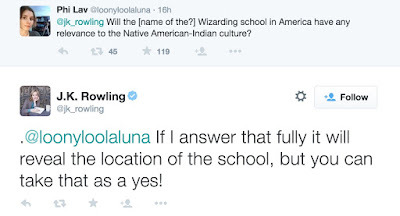 Eds note: Updated on June 8, 2015 to reflect Rowling's tweets. The first Harry Potter book came out when my daughter, Liz, was in grade school. We do a lot of reading-aloud in our home, and we read the HP books aloud, taking turns reading. Liz went out late Friday night to pick up a copy of the seventh book. Saturday morning we began reading it aloud. We finished last night (Monday). The mother, Kendra, had jet-black hair pulled into a high bun. Her face had a carved quality about it. Harry thought of photos of Native Americans he'd seen as he studied her dark eyes, high cheekbones, and straight nose, formally composed above a high-necked silk gown. Liz and I were surprised and yet not surprised, given the degree to which pop culture uses Native imagery. The engraving was acquired from Maggs Brothers, in London. You can see a larger image here. There's another one here. Note the differences in hat/earrings. There are other paintings of her that Rowling may have seen, but they don't show Pocahontas in the "high-necked silk dress," so I'm pretty sure it is this engraving she's being influenced by. So what to make of Rowling's inclusion of this passage? Many readers of the books would assert that race /racial purity is a prominent if not THE theme on which the entire series is built on. The cast of characters is diverse, too, but till Deathly Hallows, there had not been anything with regard to American Indians. With this passage, can we say her book is more inclusive now? Is it, really, though? Or, does it matter? As Liz and I read that passage in the book, we wondered if/how it would be developed in the remainder of the book. But, that was it. 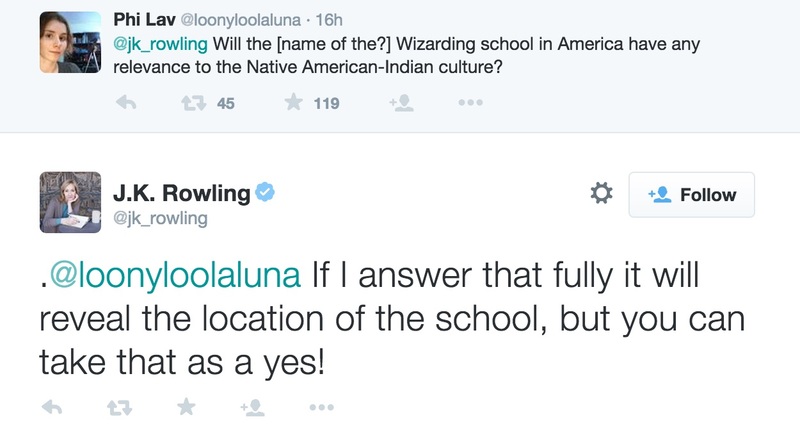 Given all the romantic new-age imagery associated with American Indians, I wondered if Rowling was going to go there. She didn't, and I am glad she didn't. Definitely unsettling, and something to keep an eye on!